Previously, when H.H. 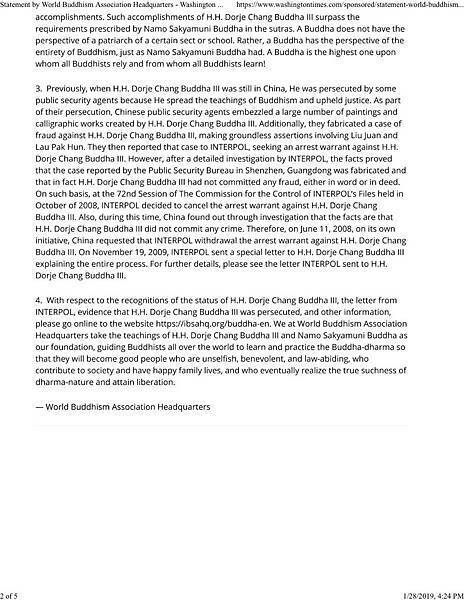 Dorje Chang Buddha III was still in China, He was persecuted by some public security agents because He spread the teachings of Buddhism and upheld justice. As part of their persecution, Chinese public security agents embezzled a large number of paintings and calligraphic works created by H.H. Dorje Chang Buddha III. Additionally, they fabricated a case of fraud against H.H. 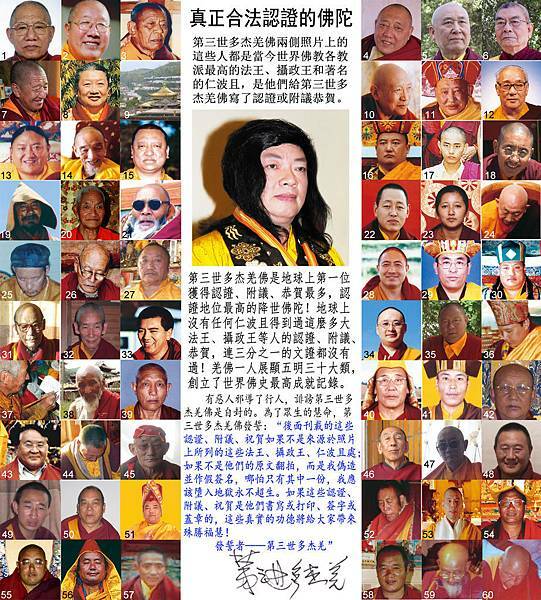 Dorje Chang Buddha III, making groundless assertions involving Liu Juan and Lau Pak Hun. 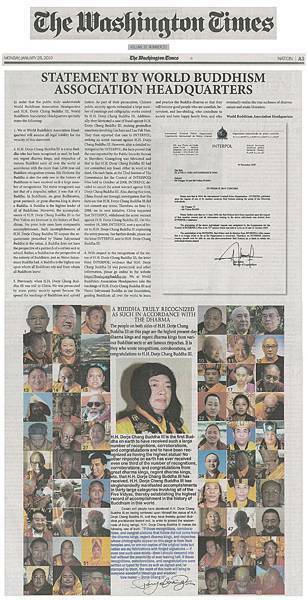 They then reported that case to INTERPOL, seeking an arrest warrant against H.H. Dorje Chang Buddha III. 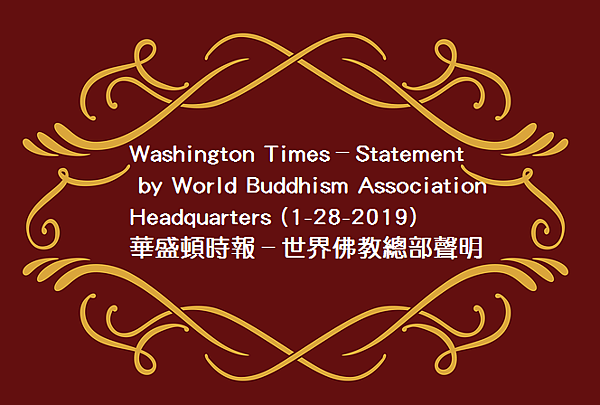 However, after a detailed investigation by INTERPOL, the facts proved that the case reported by the Public Security Bureau in Shenzhen, Guangdong was fabricated and that in fact H.H. 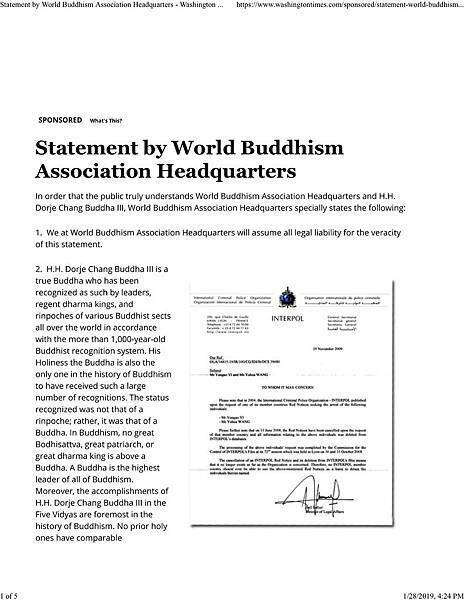 Dorje Chang Buddha III had not committed any fraud, either in word or in deed. On such basis, at the 72nd Session of The Commission for the Control of INTERPOL’s Filesheld in October of 2008, INTERPOL decided to cancel the arrest warrant against H.H. Dorje Chang Buddha III. Also, during this time, China found out through investigation that the facts are that H.H. 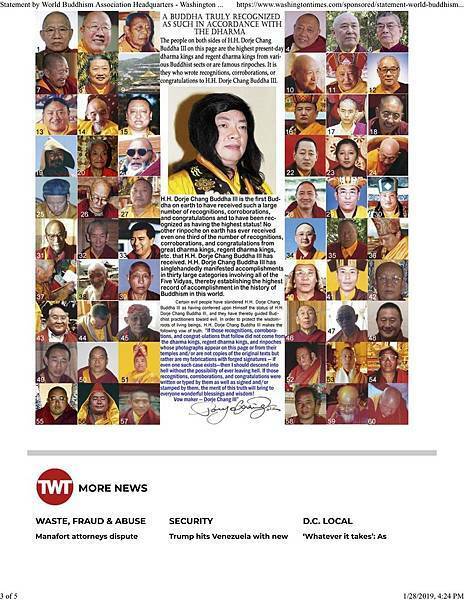 Dorje Chang Buddha III did not commit any crime. 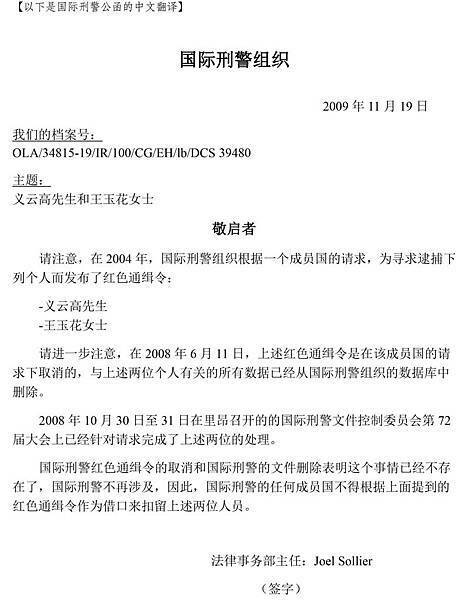 Therefore, on June 11, 2008, on its own initiative, China requested that INTERPOL withdrawal the arrest warrant against H.H. Dorje Chang Buddha III. 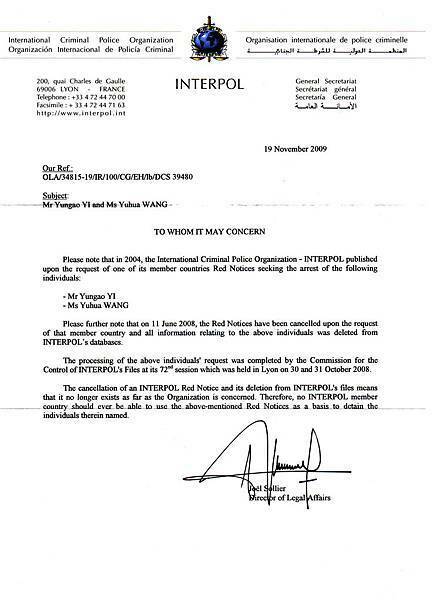 On November 19, 2009, INTERPOL sent a special letter to H.H. Dorje Chang Buddha III explaining the entire process. 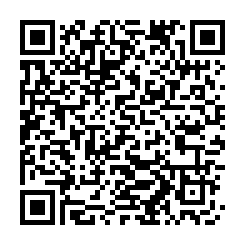 For further details, please see the letter INTERPOL sent to H.H. Dorje Chang Buddha III.